Sometimes life changes and bird owners have to give up their birds for health or financial reasons or relocating to a home that doesn't allow pets. If you can no longer keep your feathered friend, here's how you can go about finding a good home for your bird. Whatever the reason that you have to find your bird a new home, exotic bird rescues are a good place to start. Some rescues specialize in matching birds to a perfect new owner, while others offer a sanctuary setting which provides a forever home for birds placed in their care. Either way, letting your bird go to a rescue is a good way to be sure that your feathered friend will receive top-notch care and interaction. Chances are you will find members of your local bird club or aviculture society that are willing to care for your bird. Most bird club members are well-versed in bird care and socialization and have endless love for all things avian. Visit a bird club in your area during their next meeting to meet the members and ask around to find people that may be willing to take your feathered friend. Doing so will likely help you find your bird a home nearby, and some members may even be happy to let you come visit the bird in the future. If you aren't comfortable contacting a local bird rescue or aviculture society, you can consider placing a classified ad online or in your community newspaper. One possible benefit to rehoming your bird this way is that you would have the chance to conduct as lengthy an interview process as you'd like with the bird's potential new owner. If you do choose to list your bird for adoption in this manner, remember to beware of listing your pet as "free to a good home." Asking for a reasonable adoption fee will help ensure that your pet's new owner will take good care of your feathered friend. Your avian vet is a valuable resource, even once you've decided that you need to find your bird a new home. Ask your vet if he or she would be interested in taking your bird, or would know of anyone that would be able to give your pet a loving home. 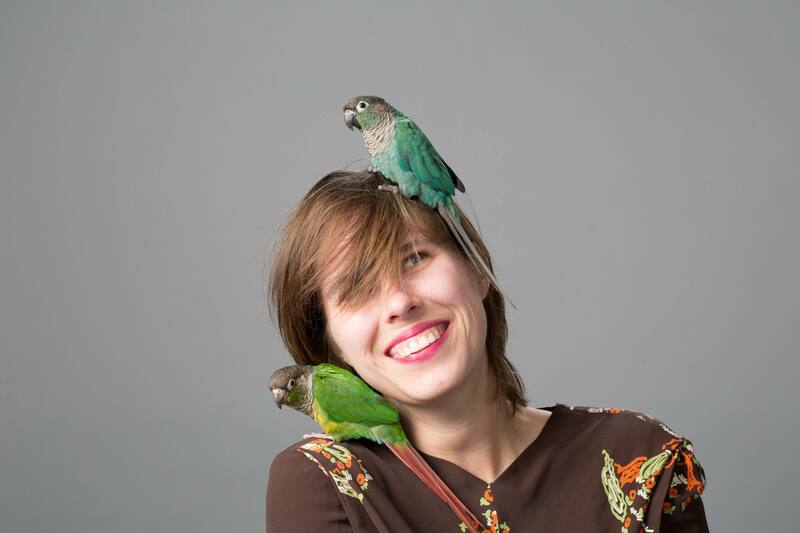 Odds are that your avian vet has plenty of connections within the avian community, and will at the very least be able to point you toward people or resources that will help you rehome your feathered friend. In many situations, it's ideal for you to be able to maintain a relationship with your bird, even if you can no longer keep him in your home. In this case, it may be best to ask friends or family members if they would be willing to take custody of your pet. Explain the situation clearly and be honest about the reasons for giving your bird up. Respect their answer either way, but it may be worth asking. If you can find a close friend or family member able to take it, you'll know the bird receives quality care in a stable and loving environment.